Living on the lake or a river in Orlando both come with many advantages. Natural bodies of water of all types are serene and invoke dreams of adventure amidst times of calm refreshing. However, when you’re talking about a permanent residence, which body of water would be the ideal choice for putting down roots? Read ahead and decide for yourself! Lakes offer privacy and atmosphere. Living on a lake, you can enjoy a sense of seclusion not found in just any neighborhood. It gives a sense of privacy compared with a community where you have neighbors right on top of you. Living on the lake comes with other perks as well. Being surrounded by water makes sweltering summers seem a bit cooler, and lake activities like paddleboating allow families to bond with their neighbors. 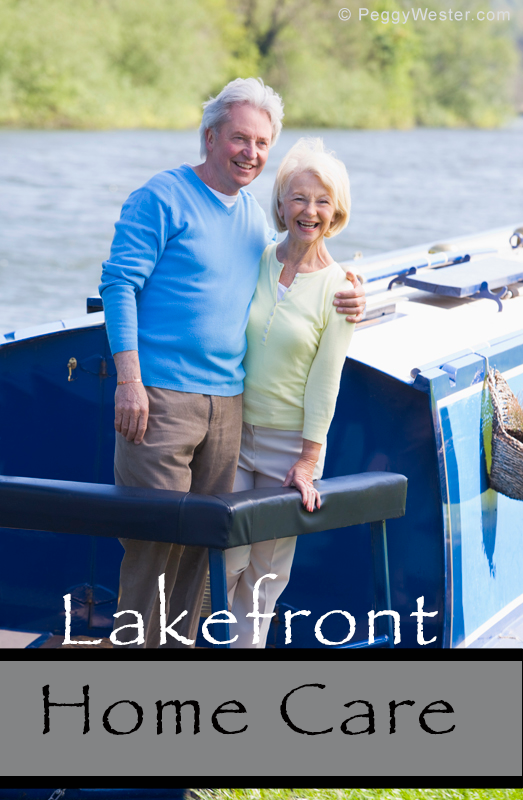 Lake front homes often come with dock access to enjoy many fun activities on the lake. Rivers are peaceful and inspiring. Living on the river can be like constantly being on vacation. What you would spend money on to go away someplace and enjoy, you can walk out the door and down to the beach and be there in an instant. Rivers may not have as many people as a lake on a hot summer day. The water’s constantly moving, so even if someone passes by your way, they’re quickly passing by. The sound of the river is relaxing and comes with the potential to drown out noisy neighbors or children which is a nice advantage. For artists, musicians or authors, living on the river provides a source of inspiration for pieces dealing with nature. On any given morning one may see a blue heron flying by, deer grazing in the field nearby, or a few mallard ducks paddling around on the river. Find out what you can do with your Orlando lakefront property. 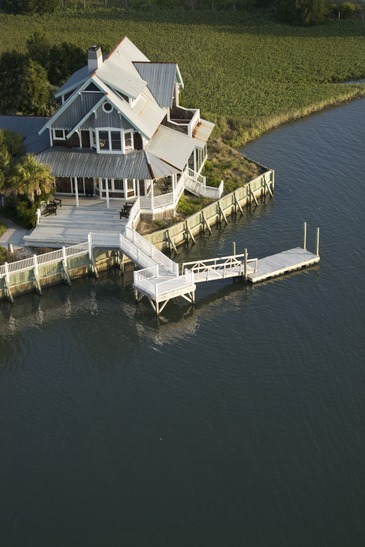 If you want to make any changes to your waterfront property, such as adding to your dock or building a seawall, start this process early to ensure that these alterations will be possible. 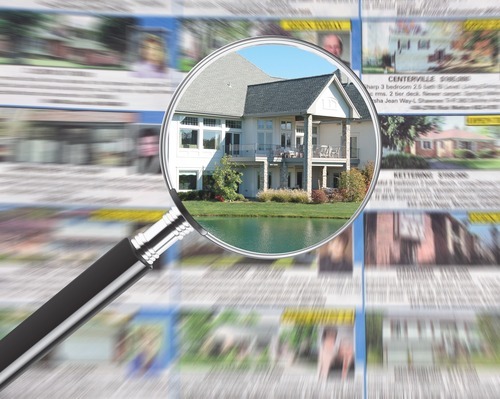 Government agencies can be very strict to deal with, and you don’t want to commit to purchasing a million-dollar home without knowing that you can really do what you want to make it your own. Also find out what kind of activities are allowed on the lake, as some areas have restrictions on jet skis, speedboats and other watercraft. In winter months, caring for your dock may mean a pipe dock needs to be removed, and a floating dock should either be removed or relocated to a sheltered spot. Lift docks should be winched up so that the legs closest to the shore are at least five feet above the normal summertime water level. The only dock that remains in its spot is a permanent dock, which, due to its construction, is able to withstand a certain buildup of ice. However, in an area where there may be an extraordinary amount of ice, it might be necessary to install de-icers around the dock legs. These de-icers oscillate the water so that ice doesn’t build up and cause damage. Docks can easily break loose and become a hazard if they’re not properly maintained to accommodate stresses created by wind, waves, current, boat wakes and fluctuating lake levels. Furthermore, dock owners are responsible for damage caused by their docks breaking loose, washing away or presenting a hazard to navigation. You should also know Safety Standards for Residential Docks on Lakes sets out maximum distances docks may be from shores. The standards apply even when lake levels are low. The shoreline is wherever the water meets the land. Boat docks should never be moved so far that they extend into the middle of the river channel or pose a threat to other boaters. Buying waterfront property can be complex and you should work with an agent who is familiar with this type of investing. 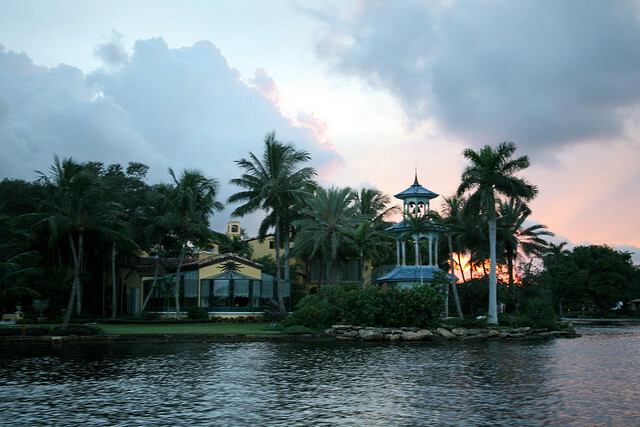 The following are four concerns when it comes to the inspection on a lake front home. 1) Have the inspector check the slope and terrain of the property for proper drainage of rain water away from the home. This is even more important when living where the soil is already moist from being near a lake. If you have a dock, get that inspected too for sagging or any other problems. You might be able to get the seller to finance any repairs or replacements. 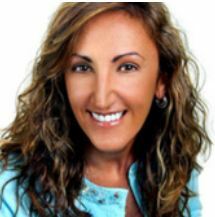 2) Purchasing a home with a septic tank? The septic system needs to be inspected to ensure that it’s being properly serviced and that no waste is leaking into the soil or lake. Additionally, once you own the home, make certain to have the tank pumped out every two years to prevent back ups and run offs into the lake. 3) Check for buggy bothers and wood damage. If termite damage is discovered on the inspection, you can have the seller pay for it before the deal goes through. Or you might find wood damage which might be caused by moisture traveling up from the lake to the house through the soil resulting in mold. Mold eats structures and is hazardous to your health as well. 4) Has your house been swimming? An inspector will be able to tell if the house has flooded and if it happens often. Flood waters cause a lot of damage to electrical systems, foundations, wood and can also cause mold. These damages can be quite severe and extremely expensive to fix. If the home has signs of flooding you should probably just walk away from it. If you’re considering raising the home, and it’s possible and you’re willing to pay the hefty price to do it, talk to surveyors and contractors. Many water front home owners are now raising their homes because they want to remain where they are, but need to prevent future flooding. Stay away from the lake, its tributaries and storm drains when maintaining your boat. Be sure you contain any excess waste products that result from your work. Rinse boats more often with plain water so you don’t always need soaps and cleaners. Avoid the need for washing with soap all the time by keeping the boat waxed and rinsed after every time you use it. Choose non-toxic, phosphate-free, chlorine-free, biodegradable products. Take your boat to a commercial car wash where the dirty water goes to the wastewater system. Follow the instructions on the label. Twice as much cleaner does not work twice as well. Buy only what is needed for a project. Give the leftovers to another boater. If you must work near the water, use tarps and work on a small area. Pressure washing near the lake is never a good idea as it is difficult to manage the wastewater. Dispose of leftover household toxics properly. While docks and floats don’t generally provide good habitat for fish and wildlife, they can act as barriers necessitating that waterfowl, beavers, and otters find refuge further out into the lake. Larger docks can inhibit the growth of beneficial aquatic plants, by shading the littoral zone. If pilings are not spaced far enough apart, a dock can change the movement of water along the shoreline, causing erosion and deposition. This affects the growth of water plants. If you are thinking about constructing a dock or float, or making major repairs to the one you already have, you need to obtain the necessary environmental review and permits for your area. You may think that this seems a bit silly just to build a dock, but any work performed below the ordinary high water mark on the lakeshore has opportunity to cause water quality problems. If constructed in conjunction with a naturally vegetated shoreline, a dock can provide boat moorage, allow access to the water and reduce human impacts to the environment of the shoreline. Moving heavy use elsewhere and away from the fragile shoreline to a dock can reduce negative influences and even damage to the riparian area. For simple boat moorage, a buoy is the preferred alternative as it causes the least long-term impact to the lake environment. The materials used in the construction of docks can introduce a variety of contaminants into the lake so be sure you know what you’re building with and how it can affect the water. Paints, wood preservatives or other chemicals may end up in the lake during routine maintenance, so their use is not permitted over or near surface water. A dock with a natural, unfinished surface is the best option. If your dock or boathouse is already painted, you need to be very careful when maintaining it. It is your job to insure that tarps are used and that the paint scrapings, paint, or other prep materials do not fall into the lake. Pressure washers are sometimes used for cleaning and prep work but this is not a good idea around lakes. The force of the water from a pressure washer makes it hard to control the amount of material being washed into the lake. A better idea is to scrub or wire brush the surface with tarps around and underneath the work area to contain the scrapings. Bleach, herbicides or pesticides should not be used over the water to control the unwanted living things that take up residence on or around your dock.